Are you fed up with Barceloneta? Looking for a unique spot? Or just loving beaches? Vilanova i la Geltrú is the place to go! More than 4 km of wide, fine-sand beaches and clear, tranquil waters make it a unique place to go, even in the winter time! This city with approximately 66.000 inhabitants is situated just 40 km south-west of Barcelona, originally being a fishing port. 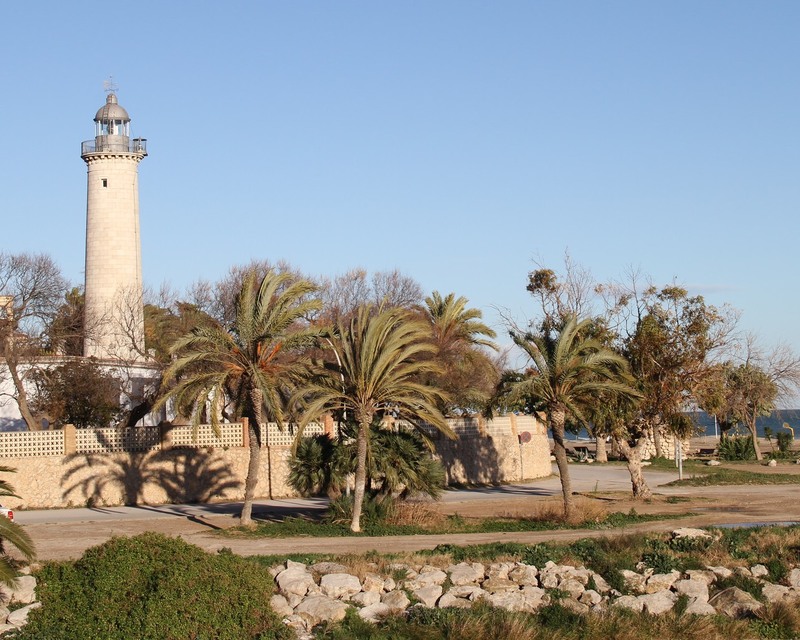 Vilanova i la Geltrú offers tranquility, adventure or quality time with your family. A place where all your worries will drift away. A place that offers nine different beaches. A place that leaves you with the question: “What beach to choose?” We wish you a lovely stay at our hotel for family in Vilanova y la Geltrú! The Lighthouse beach counts 650 meters in length and on average 110 meters wide. The 67.000 m2 of sand offers plenty of playing ground for the kids. 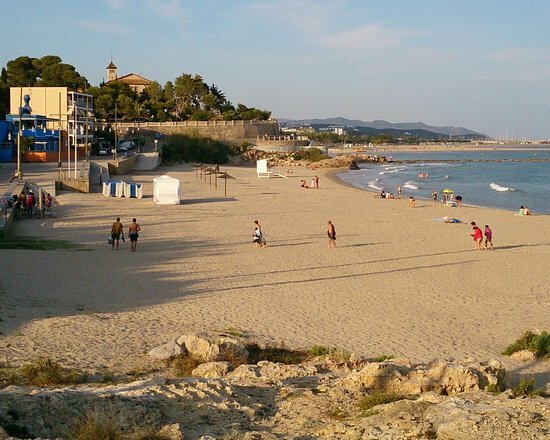 The beach is bordered by rocks in the north and the Port of Vilanova i la Geltrú in the south. 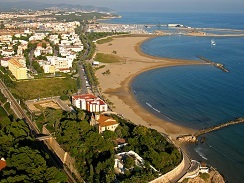 The name of this beach is originally taken from the town gardens, found in the Ribes Roges neighborhood. The beach is about 1km in length and 150 meters wide. Ribes Roges Beach is covered in white sand and has a park attached to the promenade that owns the same name. The park has a green area with trees and grass, where kids (and even adults) can play football, basketball, petanca and table tennis. 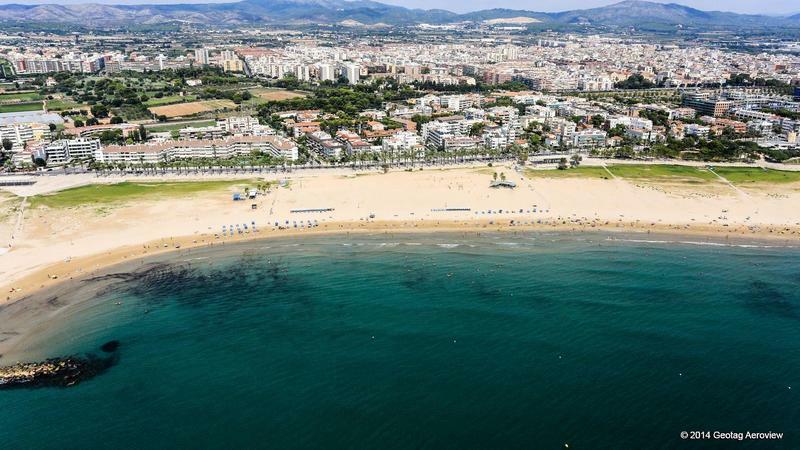 Apart from these activities, the Ribes Roges beach also provides areas for children where they can play, a miniature train station, bars and a tourist office. This beach is situated at the foot of Sant Gervasi mount, site of the Baroque style Sant Gervasi hermitage. There used to be a fort that used to defend the coastline at the end of the 18th century. The fort is unfortunately no longer there, since it has been knocked down at the beginning of the 20th century. This beach is a smaller beach with 140 meters in length and 40 meters wide with a total surface of approximately 5.000 m2. As you can read, the choice between the beaches is hard. Every beach has their own beauty and charm. Even for the winter time, these beaches offer plenty of options. They are all suitable for beautiful nature walks, or some activities that are possible to do when wearing winter jackets. Our recommendation for a beach is Ribes Roges beach because it has everything. Playing ground for the children and a beautiful, relaxing beach for the parents. If you do not fancy fine-sand they even provide open grass areas. Would you like to get some further information about all the beaches? Please click here. Enjoy your stay in our hotel for family!